For other uses, see Insurance (disambiguation). 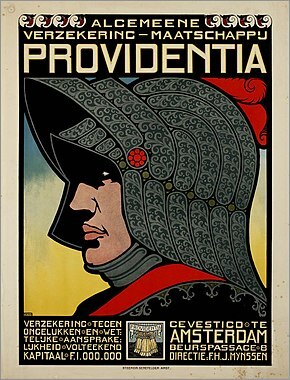 An advertising poster for a Dutch insurance company from c. 1900–1918 depicts an armoured knight. The insured receives a contract, called the insurance policy, which details the conditions and circumstances under which the insurer will compensate the insured. The amount of money charged by the insurer to the Policyholder for the coverage set forth in the insurance policy is called the premium. If the insured experiences a loss which is potentially covered by the insurance policy, the insured submits a claim to the insurer for processing by a claims adjuster. The insurer may hedge its own risk by taking out reinsurance, whereby another insurance company agrees to carry some of the risk, especially if the primary insurer deems the risk too large for it to carry. Merchants have sought methods to minimize risks since early times. Pictured, Governors of the Wine Merchant's Guild by Ferdinand Bol, c. 1680. Circa 800 BC, the inhabitants of Rhodes created the 'general average'. This allowed groups of merchants to pay to insure their goods being shipped together. The collected premiums would be used to reimburse any merchant whose goods were jettisoned during transport, whether due to storm or sinkage. 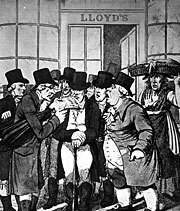 Lloyd's Coffee House was the first organized market for marine insurance. 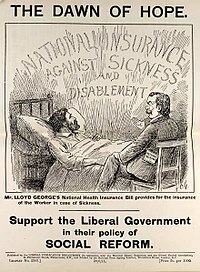 Leaflet promoting the National Insurance Act 1911. It was the world's first mutual insurer and it pioneered age based premiums based on mortality rate laying "the framework for scientific insurance practice and development" and "the basis of modern life assurance upon which all life assurance schemes were subsequently based." 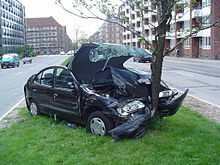 In the late 19th century "accident insurance" began to become available. The first company to offer accident insurance was the Railway Passengers Assurance Company, formed in 1848 in England to insure against the rising number of fatalities on the nascent railway system. Utmost good faith – (Uberrima fides) the insured and the insurer are bound by a good faith bond of honesty and fairness. Material facts must be disclosed. A "pay on behalf" or "on behalf of policy"
If the Insured has a "reimbursement" policy, the insured can be required to pay for a loss and then be "reimbursed" by the insurance carrier for the loss and out of pocket costs including, with the permission of the insurer, claim expenses. 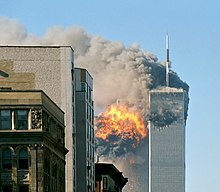 Insurance can have various effects on society through the way that it changes who bears the cost of losses and damage. On one hand it can increase fraud; on the other it can help societies and individuals prepare for catastrophes and mitigate the effects of catastrophes on both households and societies. Accidents will happen (William H. Watson, 1922) is a slapstick silent film about the methods and mishaps of an insurance broker. Collection EYE Film Institute Netherlands. Profit = earned premium + investment income – incurred loss – underwriting expenses. At the most basic level, initial ratemaking involves looking at the frequency and severity of insured perils and the expected average payout resulting from these perils. Thereafter an insurance company will collect historical loss data, bring the loss data to present value, and compare these prior losses to the premium collected in order to assess rate adequacy. Loss ratios and expense loads are also used. Rating for different risk characteristics involves at the most basic level comparing the losses with "loss relativities"—a policy with twice as many losses would therefore be charged twice as much. More complex multivariate analyses are sometimes used when multiple characteristics are involved and a univariate analysis could produce confounded results. Other statistical methods may be used in assessing the probability of future losses. Insurance companies earn investment profits on "float". Float, or available reserve, is the amount of money on hand at any given moment that an insurer has collected in insurance premiums but has not paid out in claims. Insurers start investing insurance premiums as soon as they are collected and continue to earn interest or other income on them until claims are paid out. The Association of British Insurers (gathering 400 insurance companies and 94% of UK insurance services) has almost 20% of the investments in the London Stock Exchange. In 2007, U.S. industry profits from float totaled $58 billion. In a 2009 letter to investors, Warren Buffett wrote, "we were paid $2.8 billion to hold our float in 2008." 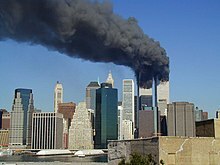 In the United States, the underwriting loss of property and casualty insurance companies was $142.3 billion in the five years ending 2003. But overall profit for the same period was $68.4 billion, as the result of float. Some insurance industry insiders, most notably Hank Greenberg, do not believe that it is forever possible to sustain a profit from float without an underwriting profit as well, but this opinion is not universally held. Reliance on float for profit has led some industry experts to call insurance companies "investment companies that raise the money for their investments by selling insurance." Auto insurance protects the policyholder against financial loss in the event of an incident involving a vehicle they own, such as in a traffic collision. Health insurance policies cover the cost of medical treatments. Dental insurance, like medical insurance, protects policyholders for dental costs. In most developed countries, all citizens receive some health coverage from their governments, paid for by taxation. In most countries, health insurance is often part of an employer's benefits. Long-term disability insurance covers an individual's expenses for the long term, up until such time as they are considered permanently disabled and thereafter Insurance companies will often try to encourage the person back into employment in preference to and before declaring them unable to work at all and therefore totally disabled. Disability overhead insurance allows business owners to cover the overhead expenses of their business while they are unable to work. Total permanent disability insurance provides benefits when a person is permanently disabled and can no longer work in their profession, often taken as an adjunct to life insurance. Workers' compensation insurance replaces all or part of a worker's wages lost and accompanying medical expenses incurred because of a job-related injury. Political risk insurance is a form of casualty insurance that can be taken out by businesses with operations in countries in which there is a risk that revolution or other political conditions could result in a loss. Certain life insurance contracts accumulate cash values, which may be taken by the insured if the policy is surrendered or which may be borrowed against. Some policies, such as annuities and endowment policies, are financial instruments to accumulate or liquidate wealth when it is needed. Landlord insurance covers residential and commercial properties which are rented to others. Most homeowners' insurance covers only owner-occupied homes. Supplemental natural disaster insurance covers specified expenses after a natural disaster renders the policyholder's home uninhabitable. Periodic payments are made directly to the insured until the home is rebuilt or a specified time period has elapsed. Surety bond insurance is a three-party insurance guaranteeing the performance of the principal. Volcano insurance is a specialized insurance protecting against damage arising specifically from volcanic eruptions. Windstorm insurance is an insurance covering the damage that can be caused by wind events such as hurricanes. Errors and omissions insurance (E&O) is business liability insurance for professionals such as insurance agents, real estate agents and brokers, architects, third-party administrators (TPAs) and other business professionals. 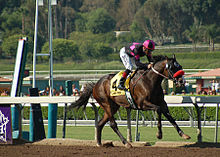 Prize indemnity insurance protects the insured from giving away a large prize at a specific event. Examples would include offering prizes to contestants who can make a half-court shot at a basketball game, or a hole-in-one at a golf tournament. Legal expenses insurance covers policyholders for the potential costs of legal action against an institution or an individual. When something happens which triggers the need for legal action, it is known as "the event". There are two main types of legal expenses insurance: before the event insurance and after the event insurance. Title insurance provides a guarantee that title to real property is vested in the purchaser or mortgagee, free and clear of liens or encumbrances. It is usually issued in conjunction with a search of the public records performed at the time of a real estate transaction. Travel insurance is an insurance cover taken by those who travel abroad, which covers certain losses such as medical expenses, loss of personal belongings, travel delay, and personal liabilities. Divorce insurance is a form of contractual liability insurance that pays the insured a cash benefit if their marriage ends in divorce. Fraternal insurance is provided on a cooperative basis by fraternal benefit societies or other social organizations. Some communities prefer to create virtual insurance amongst themselves by other means than contractual risk transfer, which assigns explicit numerical values to risk. A number of religious groups, including the Amish and some Muslim groups, depend on support provided by their communities when disasters strike. The risk presented by any given person is assumed collectively by the community who all bear the cost of rebuilding lost property and supporting people whose needs are suddenly greater after a loss of some kind. In supportive communities where others can be trusted to follow community leaders, this tacit form of insurance can work. In this manner the community can even out the extreme differences in insurability that exist among its members. Some further justification is also provided by invoking the moral hazard of explicit insurance contracts. Non-life or property/casualty insurance companies, which sell other types of insurance. General insurance companies can be further divided into these sub categories. Insurance companies are generally classified as either mutual or proprietary companies. Mutual companies are owned by the policyholders, while shareholders (who may or may not own policies) own proprietary insurance companies. Other possible forms for an insurance company include reciprocals, in which policyholders reciprocate in sharing risks, and Lloyd's organizations. In the United States, insurance is regulated by the states under the McCarran-Ferguson Act, with "periodic proposals for federal intervention", and a nonprofit coalition of state insurance agencies called the National Association of Insurance Commissioners works to harmonize the country's different laws and regulations. The National Conference of Insurance Legislators (NCOIL) also works to harmonize the different state laws. In the European Union, the Third Non-Life Directive and the Third Life Directive, both passed in 1992 and effective 1994, created a single insurance market in Europe and allowed insurance companies to offer insurance anywhere in the EU (subject to permission from authority in the head office) and allowed insurance consumers to purchase insurance from any insurer in the EU. As far as insurance in the United Kingdom, the Financial Services Authority took over insurance regulation from the General Insurance Standards Council in 2005; laws passed include the Insurance Companies Act 1973 and another in 1982, and reforms to warranty and other aspects under discussion as of 2012[update]. 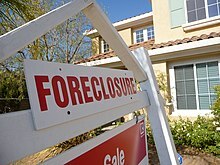 All states have provisions in their rate regulation laws or in their fair trade practice acts that prohibit unfair discrimination, often called redlining, in setting rates and making insurance available. New assurance products can now be protected from copying with a business method patent in the United States. A recent example of a new insurance product that is patented is Usage Based auto insurance. Early versions were independently invented and patented by a major US auto insurance company, Progressive Auto Insurance (U.S. Patent 5,797,134) and a Spanish independent inventor, Salvador Minguijon Perez (‹See Tfd›EP 0700009 ). There are currently about 150 new patent applications on insurance inventions filed per year in the United States. The rate at which patents have been issued has steadily risen from 15 in 2002 to 44 in 2006. The first insurance patent to be granted was  including another example of an application posted was US2009005522 "risk assessment company". It was posted on March 6, 2009. This patent application describes a method for increasing the ease of changing insurance companies. Insurance on demand (also IoD) is an insurance service that provides clients with insurance protection when they need, i.e. only episodic rather than on 24/7 basis as typically provided by traditional insurers (e.g. clients can purchase an insurance for one single flight rather than a longer-lasting travel insurance plan). Some Christians believe insurance represents a lack of faith and there is a long history of resistance to commercial insurance in Anabaptist communities (Mennonites, Amish, Hutterites, Brethren in Christ) but many participate in community-based self-insurance programs that spread risk within their communities. ^ See, e.g., Vaughan, E. J., 1997, Risk Management, New York: Wiley. ^ "Lex Rhodia: The Ancient Ancestor of Maritime Law - 800 BC". ^ J. Franklin, The Science of Conjecture: Evidence and Probability Before Pascal (Baltimore: Johns Hopkins University Press, 2001), 274-277. ^ Palmer, Sarah (October 2007). "Lloyd, Edward (c.1648–1713)". Oxford Dictionary of National Biography. 1. doi:10.1093/ref:odnb/16829. Archived from the original on 15 July 2011. Retrieved 16 February 2011. ^ "Today and History:The History of Equitable Life". 2009-06-26. Retrieved 2009-08-16. ^ "Encarta: Health Insurance". Archived from the original on 2009-11-01. ^ The Cabinet Papers 1915-1982: National Health Insurance Act 1911. The National Archives, 2013. Retrieved 30 June 2013. ^ Gollier C. (2003). To Insure or Not to Insure? : An Insurance Puzzle. The Geneva Papers on Risk and Insurance Theory. ^ This discussion is adapted from Mehr and Camack "Principles of Insurance", 6th edition, 1976, pp 34 – 37. ^ Irish Brokers Association. Insurance Principles Archived 2009-04-11 at the Wayback Machine. ^ However, bankruptcy of the insured with a "reimbursement" policy does not relieve the insurer. Certain types of insurance, e.g., workers' compensation and personal automobile liability, are subject to statutory requirements that injured parties have direct access to coverage. ^ Menapace, Michael (10 March 2019). "Losses From Malware May Not Be Covered Due To Your Policy's Hostile Acts Exclusion". The National Law Review. Retrieved 25 April 2019. ^ Stock, Rob (19 March 2019). "Insurers waive terrorism exclusions for Christchurch shooting victims". Stuff. Retrieved 25 April 2019. ^ Peter Zweifel; Roland Eisen (24 February 2012). Insurance Economics. Springer Science & Business Media. pp. 268–. ISBN 978-3-642-20547-7. ^ Kunreuther H. (1996). Mitigating Disaster Losses Through Insurance. Journal of Risk and Uncertainty. ^ Brown RL. (1993). Introduction to Ratemaking and Loss Reserving for Property and Casualty Insurance. ACTEX Publications. ^ Feldstein, Sylvan G.; Fabozzi, Frank J. (2008). The Handbook of Municipal Bonds. Wiley. p. 614. ISBN 978-0-470-10875-8. Retrieved February 8, 2010. ^ What we do ABI Archived 2009-09-07 at the Wayback Machine. Abi.org.uk. Retrieved on 2013-07-18. ^ Feinman, Jay M. (2010). Delay, Deny, Defend : Why Insurance Companies Don't Pay Claims and What You Can Do About It. Portfolio. p. 16. ISBN 9781101196281. OCLC 883320058. ^ Weir, Audrey A.; Hampton, John H. (March 1995). "Essentials of Risk Management and Insurance". The Journal of Risk and Insurance. 62 (1): 157. doi:10.2307/253703. ISSN 0022-4367. ^ Fitzpatrick, Sean, Fear is the Key: A Behavioral Guide to Underwriting Cycles, 10 Conn. Ins. L.J. 255 (2004). ^ Insurance Information Institute. "Business insurance information. What does a businessowners policy cover?". Retrieved 2007-05-09. 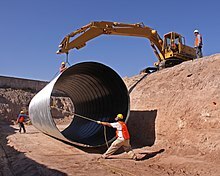 ^ "Builder's Risk Insurance: Specialized Coverage for Construction Projects". Adjusting Today. Adjusters International. Retrieved 2009-10-16. ^ ‹See Tfd›US application 20,060,287,896 "Method for providing crop insurance for a crop associated with a defined attribute"
^ Born, Lorna; Spillane, Charles; Murray, Una (2018-12-20). "Integrating gender into index-based agricultural insurance: a focus on South Africa". Development in Practice: 1–15. doi:10.1080/09614524.2018.1556608. ISSN 0961-4524. ^ Insurance Information Institute. "What is homeowners insurance?". Retrieved 2008-11-11. ^ Seaman, S. M.; Kittredge, C. (Spring 1997). "Excess Liability Insurance: Law and Litigation". Tort & Insurance Law Journal. 32 (3): 653–714. JSTOR 25763179. ^ Types of Business Insurance | SBA.gov Archived 2010-06-29 at the Wayback Machine. Business.gov. Retrieved on 2013-07-18. ^ Blitz, Gary; Schoenberg, Daniel. "Private REITs: Facilitating a Cleaner Exit with Tax Insurance". Transaction Advisors. ISSN 2329-9134. ^ a b "The Industry Handbook: The Insurance Industry". Investopedia. 2004-01-07. Archived from the original on 2018-09-07. Retrieved 2018-11-28. ^ David Ransom (2011). IF1 – Insurance, Legal & Regulatory. Chartered Insurance Institute. p. 2/5. ISBN 978 0 85713 094 5. ^ "Admitted Insurance". investopedia.com. 2018-01-29. Retrieved 2019-01-15. ^ Sam Radwan, "China's Insurance Market: Lessons Learned from Taiwan", Bloomberg Businessweek, June 2010. ^ Randall S. (1998). 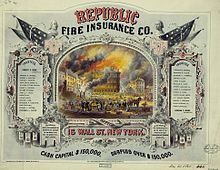 Insurance Regulation in the United States: Regulatory Federalism and the National Association of Insurance Commissioners Archived 2011-05-11 at the Wayback Machine. FLORIDA STATE UNIVERSITY LAW REVIEW. ^ C. J. Campbell, L. Goldberg, A. Rai. (2003). The Impact of the European Union Insurance Directives on Insurance Company Stocks. The Journal of Risk and Insurance. ^ Haurant S. (2005). FSA takes on insurance regulation. The Guardian. ^ Adams J. (2012). The impact of changing regulation on the insurance industry. Financial Services Authority. ^ Lloyds. (2012). Reforming UK insurance contract law. ^ Insurance Law of the People's Republic of China – 1995. Lehman, Lee & Xu. ^ Thomas JE. (2002). The role and powers of the Chinese insurance regulatory commission in the administration of insurance law in China Archived 2011-05-11 at the Wayback Machine. Geneva Papers on Risk and Insurance. ^ "Insurers' websites receive first marks | Банк России". www.cbr.ru. Retrieved 2018-05-21. ^ O'Hare, Paul; White, Iain; Connelly, Angela (2015-09-01). "Insurance as maladaptation: Resilience and the 'business as usual' paradox". Environment and Planning C: Government and Policy. 34 (6): 1175–1193. doi:10.1177/0263774X15602022. ISSN 0263-774X. ^ Schindler, R. M. (1994). Consumer Motivation for Purchasing Low-Deductible Insurance. In Marketing and Public Policy Conference Proceedings, Vol. 4, D. J. Ringold (ed. ), Chicago, IL: American Marketing Association, 147–155. ^ Insurance Information Institute. "Issues Update: Regulation Modernization". Retrieved 2008-11-11. ^ US6922720 "SYSTEMS AND METHODS FOR INSURING DATA OVER THE INTERNET"
^ Bakos, Nowotarski, "An Experiment in Better Patent Examination", Insurance IP Bulletin, December 15, 2008. ^ "Islam Question and Answer – The true nature of insurance and the rulings concerning it". Retrieved 2010-01-18. ^ "Life Insurance from an Islamic Perspective". Archived from the original on 2010-05-22. Retrieved 2010-01-18. ^ "Jewish Association for Business Ethics – Insurance". Archived from the original on 2010-04-19. Retrieved 2008-03-25. ^ "Insurance: A Christian Perspective - Faith in Business". www.faith-in-business.org. Retrieved 2018-12-25. ^ "Should Christians Buy Insurance?". Crosswalk.com. Retrieved 2018-12-25. ^ Rubinkam, Michael (October 5, 2006). "Amish Reluctantly Accept Donations". The Washington Post. Retrieved 2008-03-25. ^ Donald B. Kraybill (1989). The riddle of Amish culture. p. 277. ISBN 978-0-8018-3682-4. ^ "Global Anabaptist Mennonite Encyclopedia Online, Insurance". Retrieved 2010-01-18. Dickson, P. G. M. (1960). 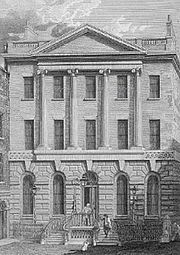 The Sun Insurance Office 1710–1960: The History of Two and a half Centuries of British Insurance. London: Oxford University Press. p. 324.